Jack "The Ripper" Lindholm ended his endorsement with Easy Rider in the late 1980s in favor of a deal with Wave Rebel. As a result, the names of his pro models -- The Ripper and The Ripper II -- had to be changed. Easy Rider renamed the two boards Radical and Radical II, respectively. 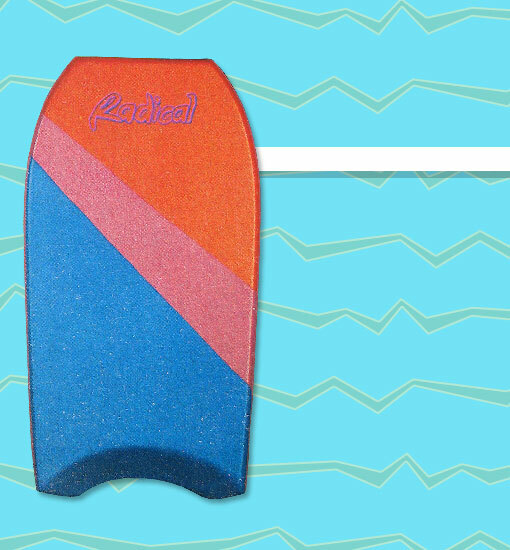 The Radical II was a smaller scale version of the Radical, but it lacked the speed-slotted bottom of its big brother. In 1989, the Radical model was eventually discontinued altogether, and the board formerly known as Radical II dropped the suffix to become the new "Radical".